I love using data-driven design to create accessible, useful websites for the world. I'm happily based in Charleston, SC! I have a broad range of international digital marketing and development experience with major brands, such as the British Medical Association, Food Network UK, PR Newswire Europe and Midmark Corporation. Beyond work, I love being involved in my community. I was a Big with Big Brothers Big Sisters for two years, and my lucky black cat, Alan, was a registered pet therapist for a year! Although I'm still working, he retired when we moved South. I designed this site based on the old Commodore 64 computers in the 80s. I get a lot of joy in seeing websites from the early days of the Web when they weren't a lot more than personality explosions. I hope to bring some personality back to the Web, minus the accessibility and user experience issues! 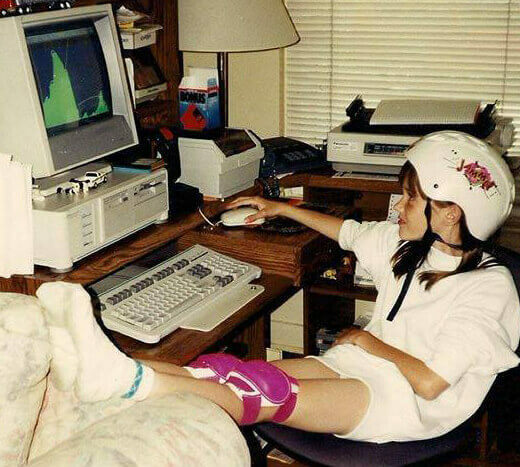 As you can see, I've always had fun on computers while maintaining an active lifestyle. Content & Design © 2018 Sara Hill. All rights reserved.